So, you’ve seen (or heard of) Miami’s sunshine, white sand beaches, legendary party scene, year-round events and want in on the action. Buying a vacation condo or second home in Miami seems like a great prospect. And it certainly is, however, before you take the big leap, it’s important to get some basics out of the way, so your second home proves to be the stress-buster it’s meant to be. What’s your motivation - vacations, retirement, investment? Vacation Home. Having a second home in Miami would mean having a permanent winter escape. It’s easier to step out for a vacation when you know you’re simply coming back home. It also saves you the time and money spent on hotel bookings. Not to mention, having the power to extend or cut-short your vacation without any financial implications simply adds to the fun. Retirement Refuge. Some people like to get an early start on their retirement plans. 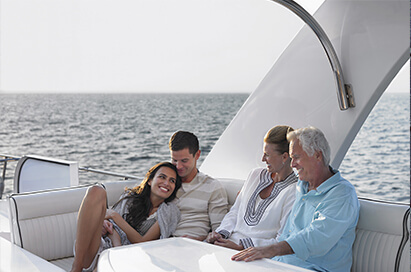 After all, Miami’s year-round warmth, gorgeous beaches, world-class dining options, art and cultural events make the perfect recipe for a glorious retirement. Don’t just take our word for it, Florida ranked No. 1 on both the Best States for Military Retirees and Retirees in general in Wallethub’s 2017 study. Long-term Investment/Rental Property. Adding real estate to your portfolio is one of the best ways to diversify beyond the stock market. The big advantage of real estate is that you can make dividends in the form of rental income as your wait for your property value to increase. Buying a second home for rental income does just that. Especially in a place like Miami that ranked in the World’s 21 Top Luxury Beach Destinations of 2017. In fact, all of the above can be turned into rental property when vacant, so your home makes you money while you’re away. Always accessible amenities. Condos in Miami come with a host of standard amenities, such as a gym, pool, concierge desk and more. In fact, there are even some that offer over-the-top amenities like golf simulators, race car simulators, full-scale spas, art galleries and more, so you don’t ever need to leave the property. Best part - these amenities are accessible all year round and are maintained by the condo association for a fixed fee. This means you won’t have to waste any of that vacation time or money in tedious repairs. Lock up and leave convenience. One of the biggest advantages of buying a vacation condo in Miami is the ability to simply lock up and leave. As most condo buildings come with 24/7 security and camera surveillance, you can leave your vacation home behind without worrying about its safety. Even if the building you choose does not have dedicated security, your condo will benefit from safety in numbers as opposed to a standalone house. Again, with a condo association in-charge of maintenance and repairs (of the common areas, at least), your vacation begins as soon as you come home. Also, for in-home repairs you can either contact your building’s handyman or possibly have a concierge take care of it. Renting convenience. Renting out a condo can be simpler than a home, especially if you buy in a more urban or beach location close to attractions, retail, restaurants, shopping or public transportation hubs. Additionally, if you buy a condo-hotel unit, you get a built-in rental program. Under such programs, the hotel management advertises, rents out and manages your condo for a share in the rental income. Each part of Miami has something different to offer. From laid back beaches to party districts, shopping hubs and scenic suburbs - Miami has it all. Now, this is where knowing your motivation will come in handy. If you’re just looking to rent out, the commercial or cultural hubs could fit the bill. If a retirement home is what you need, you can also scout through the more laidback, “village” style of neighborhoods. And, needless to say, the beach districts reign as a popular choice for setting up vacation condos in Miami. Fees. Make sure you know how much you will be paying in condo association fees and what it covers. Most condo fees cover the bare necessities, such as upkeep of the grounds and amenities, as well as master flood/wind insurance. Others also include utilities such as a central A/C cooling tower, water, cable and internet. Pet Policies. If you own a pet, or would like to rent out to people with pets, you should know your building’s pet policies. While some do not allow pets at all, others have restrictions on the number and size of the pets you can bring along. On the other hand, there are others that even have dedicated spas on-site to pamper your pets. Keep in mind that many associations have different policies for owners vs. renters when it comes to pets. Rental Restrictions. You will find a lot of variation in the rental policies of condos in Miami, and knowing your condo’s rules is vital if you plan on renting out your second home. While some associations allow short-term renting, most prescribe a 6 month minimum, or even a one-year minimum. Some associations that do allow shorter term rentals limit the number of times you may rent per year. You should choose your condo carefully based on the amount of time (and number of times per year) you plan to spend in your vacation condo, plus the kind of income you’re looking to generate. How to Finance Your Vacation Condo/Second Home? Once you’re done with the basics of what you want, now let’s talk about how you are going to finance it. If you’re not paying all cash, you will need to check if the condo you’re interested in is eligible for financing. There are plenty of traditional and non-traditional lending options at your fingertips through most lenders. Mortgage lenders have different rules for financing vacation homes vs rental properties. If you are simply looking for a second home, you stand a chance at getting a better interest rate and more financing options. However, if you rent out your vacation condo, it becomes an investment in the eyes of the bank, and your interest rate is likely to be a bit higher. In any case, expect to pay at least 0.50% or higher than the regular interest rate on the mortgage of your second home vs what you would get on a primary home. Also, be prepared to dish out a 20-25% down payment for your vacation condo. Condo-hotels have more limited lending options and mostly require 40%+ down payments. Furnishings. While most condos come ready for you to furnish, some come fully furnished (just walk in with your toothbrush). Consider your appetite and budget to get your place “toothbrush-ready”. Utilities. Even while you’re not using your condo, you may be responsible for paying the basic bills such as electricity, cable, internet, etc. Condo Association Fees. Typically, the more luxurious the amenities, the higher the bill, so make sure to factor this in, as it will likely be your largest expense along with property taxes. Insurance. Master flood and windstorm insurance is typically part of your condo association fees. However, you will want to get interior contents insurance (H06 policy), which is not too expensive, but very necessary to protect your finishes and personal property. Travel costs. This is one of the most overlooked factors when estimating the cost of ownership for most. If your second home is a 5-hour drive from your place of residence, then you can afford to overlook this cost. However, if you live up North, on the other side of the coast or in a different part of the globe altogether, this can become a significant add-on. Property Taxes. While one can hope for a Homestead exemption on their primary residence in Florida, you will not be able to do so for a second home. This means you will be required to pay property taxes according to the current millage rate. You can check out the property tax procedure in this infographic posted on the official floridarevenue.com website. You will further be required to pay taxes on the rental income generated by your condo. However, this doesn’t mean your vacation condo has to be a complete tax burden, read on to know how you can get some respite. Mortgage Interest Write-off. You’re allowed to deduct the interest on your vacation condo’s mortgage. In fact, you can write off up to 100% of the interest you pay on a total debt (on all your properties) of up to $750,000 total loan amounts. Tax-free Rental Income. If you rent out your vacation condo for 14 days or less in a year, then you get to pocket the entire rent tax-free, irrespective of the size of your earnings. However, if you rent out for more than 14 days, then you must claim your income. Deductions from Rental Income. If you use your vacation condo for rental purposes only, you get to deduct numerous expenses including cleaning and maintenance, advertising, commissions, legal and professional fees, depreciation, insurance, mortgage interest, utilities, repairs and more. Plan on Renting Out Your Vacation Condo? Know the Rules. Before planning out your rental scheme, make sure to check with the rules set by your condo association and municipality. These rules can apply towards minimum rental period, how many times a year you can rent, renter screening requirements. These rules will impact your ability to use websites such as Airbnb, Homeaway and more. How to Get the Word Around? These days there are a plenty of ways you can let people know you’re interested to rent out. You can advertise on websites such as Airbnb, VRBO, Homeaway, HomeToGo, FlipKey and more. Or, you can hire a real estate agent to lease out your property (advertising, renting) and a professional property manager to take care of everything else (upkeep, payments, bookkeeping, etc). Which Months Fetch the Best Rent in Miami? December through April is when you can earn maximum rent on your vacation rentals in Miami. However, this also means you will have to compromise on enjoying some of that peak vacation time in your condo. Let’s begin with understanding the concept of a condo-hotel (aka hotel-condo, condotel). A condo-hotel is legally a condominium, but operated as a hotel. Individual owners can own units in the condo-hotel building just like in any other condominium, but they have the added advantage of being able to place their property in the hotel program and have the hotel manage the rental. In addition, owners have the privilege of making use of all the five-star amenities the hotel has on offer while staying in their residence, such as world-class dining, concierge services, room service, housekeeping and more. Benefit from a known brand. One of the biggest advantages that attracts investors to condo-hotels is that they get to indirectly own a piece of a prestigious luxury brand (think Ritz Carlton, W Hotel, etc), or at minimum have a hotel management company take care of the marketing and leasing of your property. Enjoy hotel services. You get to own a full-service vacation home with unparalleled hotel services and amenities like a spa, fine dining, lounge, business center, housekeeping, room service, special events, etc. Subsidize your lifestyle. You are able to offset your lifestyle cost of having a second home in a headache-free way by enrolling in the hotel’s rental program. This offers you the benefit of leaving the marketing, promotion, reservations and management of the property up to the hotel management. The management company takes care of upkeep, maintenance and interaction with the renters. And, in case you need to use your condo, simply make sure to call ahead of the notice window, and your suite will be reserved for you. Most properties prescribe a 7-day notice to reserve the your residence, as long as it is not already reserved by a hotel guest. Higher maintenance fees. As is obvious, with such world-class amenities, luxuries and management at your disposal, you will have to pay a higher monthly/annual maintenance fee than a typical condo. Less lending options. Loan rates and down payment requirements tend to be higher for such properties, since few lenders agree to fund condo-hotels. Bowing to blackout dates. If you enroll in the hotel program (which is not obligatory) you tend to lose a bit of control over when, how much and how often your vacation condo gets rented. Most hotels restrict the total number of days you can spend on your property and have blackout dates where you will not be able to use your residence. Significant Management Fees. If enrolled in the hotel’s rental program, you can end up paying as much as half (or more) of the revenue earned on your condo. That said, if you don’t participate in the hotel program, you can lease your unit on your own or through a property management company and have more control over when you use it and what management fees you are willing to pay. After all, a good realtor can make all the difference between landing yourself a problematic property versus years of great vacations.